What’s the collective noun for a group of roundels? A charm? I know it already applies to goldfinches, but I don’t think these nouns are bespoke. I rather like congregation, despite it sounding a bit ecclesiastical. Murmuration is lovely. I always murmur when I see a roundel, mostly in my head but sometimes out loud, which in turn prompts others to murmur back, but rarely in the same spirit of appreciation. Or how about “a Johnston of roundels”? It’d be unique, memorable, and something of a tribute to the man whose typeface they all carry. Though I’m not sure how Sue, or descendants of Brian, would react. Well, whatever the noun is, or should be, it exists at Loughton. 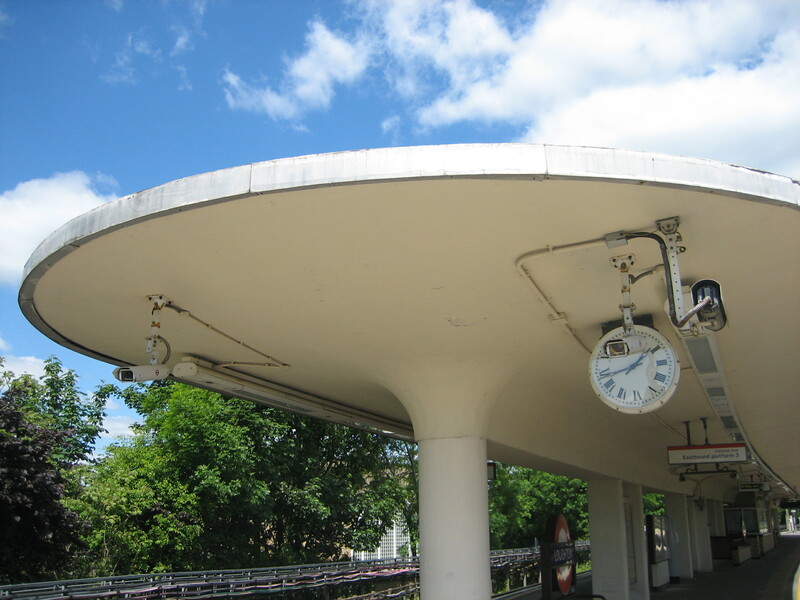 The station’s platforms are a feast of dashing architecture and elegant design, with these spirited battalions of roundels at the heart. I’ve already raved about the ticket hall. The platforms are just as stunning. Giant canopies curve above both of them, sailing majestically and uncompromisingly over the passengers below while throwing romantic shapes against the sky. There’s an endearing pomposity about this kind of edifice. It’s been conceived and realised in such a lofty fashion for such an otherwise perfunctory purpose. I have infinite amount of time for anyone who thinks a platform canopy isn’t just a way of keeping people dry in the rain; it’s a way of keeping people dry in the rain IN STYLE. 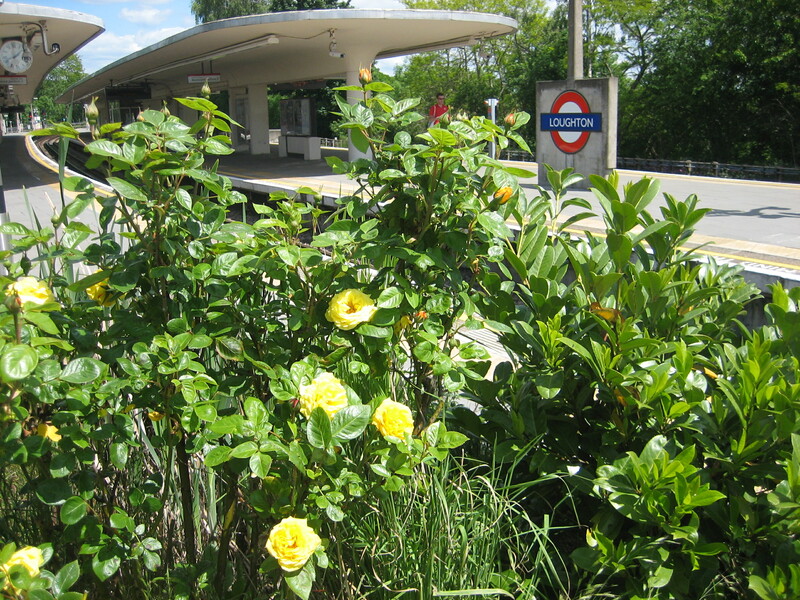 Flower beds at the far ends of the platforms add dabs of organic colour to the mix. The changing of the seasons must mean the station never quite looks the same all year round. 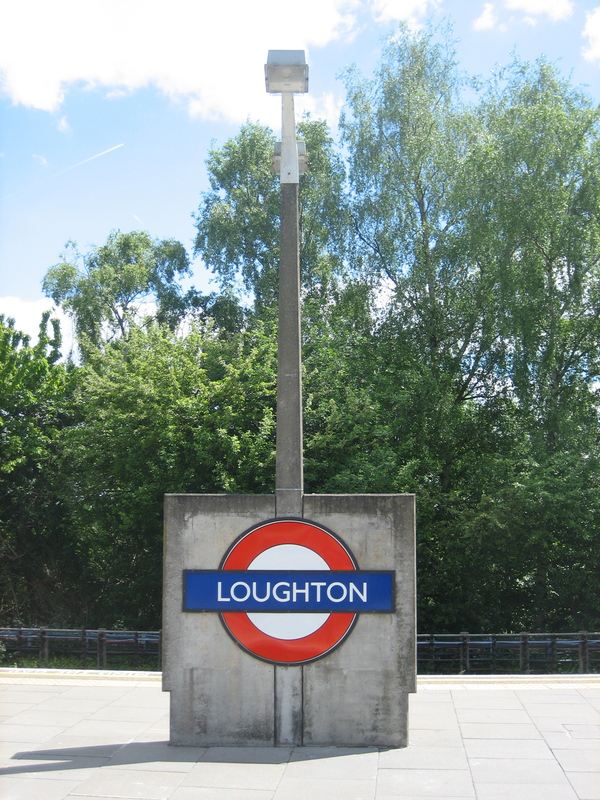 It follows that if you’re a regular user of Loughton, your relationship with the station is also forever changing. The same goes, incidentally, for the exterior of the ticket hall, whose shops have, in the few months since the last time I was here, changed hands yet again. Yes, The Flower Stop is no more, ditto Homme Fatal. Sob. Oh look, another one – and this time embedded in concrete armour, looking indomitable in the sun. What platform isles of wonder. There’s a collective noun of greatness at Loughton. In fact, maybe that’s it. 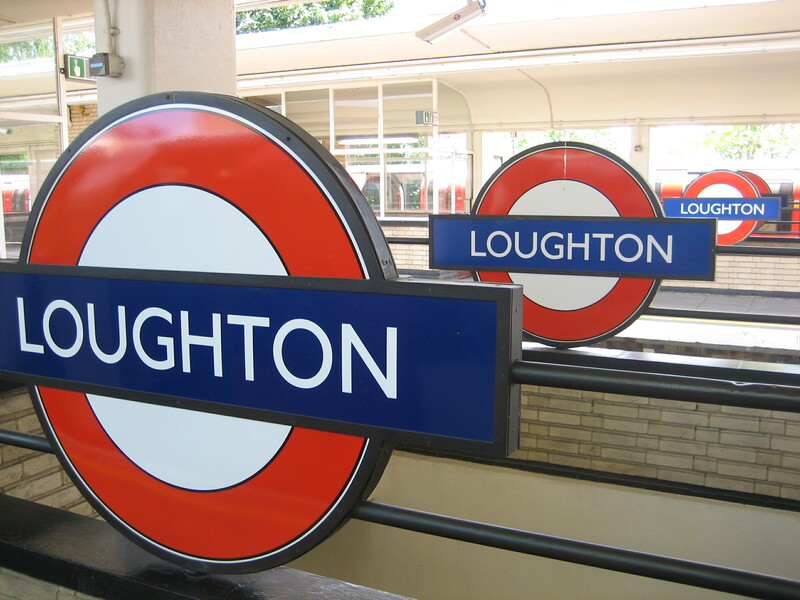 A Loughton of roundels. You didn’t mention the roundels on the benches, they’re the best ones! The station is a veritable roundel-rama!